Are you prepared? The end of November and the beginning of December is the most suitable time to reach potential customers. 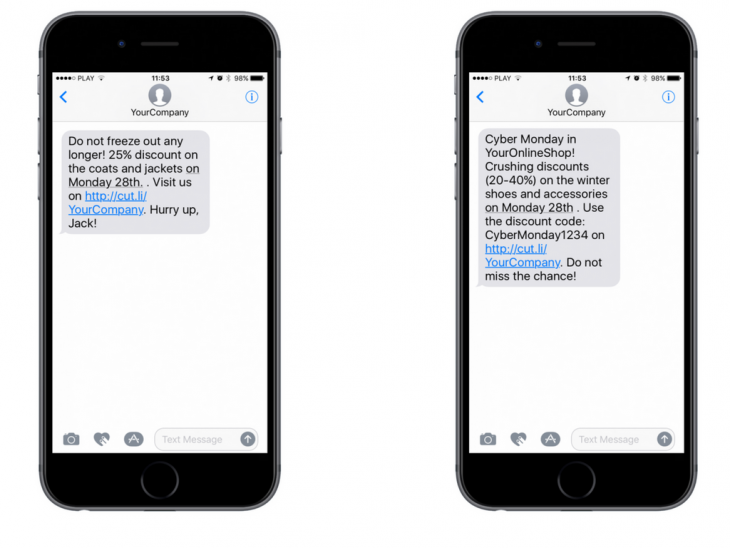 If you have not braced yourself yet – do it now, use our tips to create an effective SMS campaign. To create a crushing marketing campaign before the sale, you should first analyze sales data of the previous year in November and December. Define the keywords, slogans, types of content and products which performed the best. These questions will help to build your Black Friday strategy around the most valuable resources and fit into the preferences of your clients. 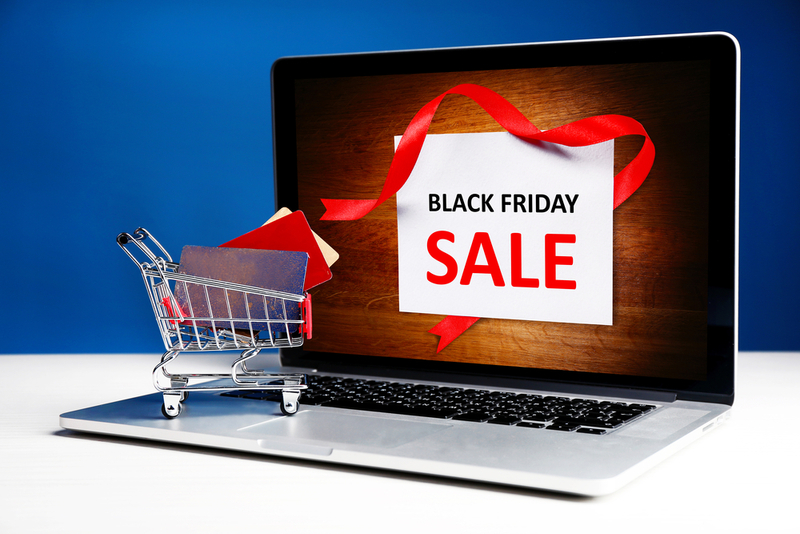 Marketing actions before Black Friday may pin your customers down if you prepare it properly. 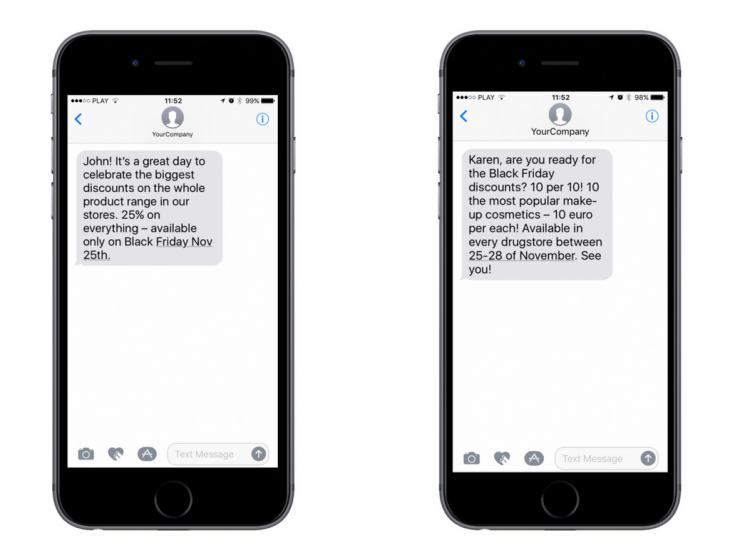 Beside personalization of SMS, it is great to attract your recipients with a humorous content and a tangible benefit that comes out of your message. Let’s face it, 2 or 5% discount will not make your customer extremely eager to buy much more then usually. Remember that Black Friday is the day of the biggest sales of the year. To make yourself clear, offer the specific product or group of products and make it time-bounded i.e. offer subject to availability or available only on Friday. Limited choice is a great stimulus to boost engagement and encourage your customer to visit the store or put more into the shopping basket. The day of the fantastic sales does not particularly mean lowering the price. If you are not able to offer 15% or more discount, you can suggest different incentives: free trial of the service, discount code for the future, free shipping or a whitepaper. Remember, Black Friday campaign is risky because of the strong competitors. To make your customer use your discount, it should be well-planned and very tangible. Your SMS campaign is not the only action you can take. To benefit more, you can combine more channels. The omnichannel strategy may be invaluable, if it comes to the coherency of your marketing actions – your recipient receives the same message regardless of the channel. Beside SMS (which might be open 3 seconds after the delivery), e-mail marketing is also worth considering. Do not forget about the power of social media, AdWords and outdoor actions. To ensure the success of your plan, use Google Trends to define the most accurate and popular phrases and keywords before the Black Friday. They might be the most effective weapon which makes your customer eager to buy the product. Drawing the customers to your (stationary or online) shop is just the first step. Before they reach checkout with carts full of your products, you will have to take care of them. There’s no bigger turn off than a slow or unresponsive website. It’s wise to lower the load time of your website before shopping seasons starts. One last thing, remember about your customer support department. Make sure you have enough staff and that they know exactly how to deal with stressful situations. The research we conducted in Poland shows that those who are willing to receive SMS with an offer are 20-29 years old, well-educated people who live in big cities. The most probable scenario is that between the Black Friday and Cyber Monday they will be the most active customers and spend more than they used to. Do not be late and prepare yourself for the biggest sale of the year!